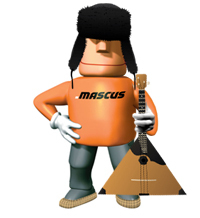 Mascus (www.mascus.ie) - Is a marketplace for used farm machinery, forestry, and groundscare equipment and transportation vehicles. Product ranges include used tractors, used trailers, used trucks, diggers, box trailers, mini diggers and excavators. Mascus makes trading in used machinery and equipment quicker and more efficient by collecting in one place information about the supply and the demand. All dealers, producers, and end users are welcome to offer their used machines and equipment for sale via the marketplace.